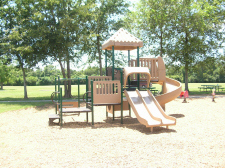 Residents of Pecan Grove are invited to enjoy our area parks. Only foot traffic and non-motorized vehicles are allowed on the levee, drainage channels and parks. 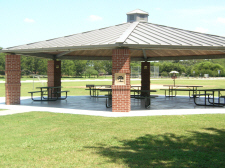 Individuals, groups and organizations within the PGMUD that wish to use the fields or picnic pavilion must reserve them with the Marcus Campbell, Parks Manager by calling (832) 818-5600, or by email to pgmudreservations@yahoo.com. 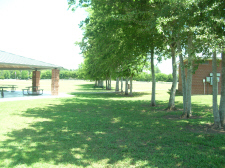 Reservations are needed to guarantee access to the practice fields and Picnic Pavilion at Pecan Grove Park and Pecan Lakes. 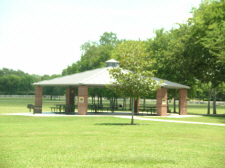 District park sites are open to all District residents and their guests. The boundaries of the District include Pecan Grove, Pecan Lakes and Plantation Place. 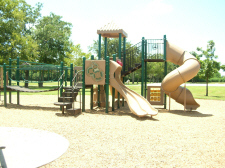 The District uses operation revenues to operate and maintain the parks. 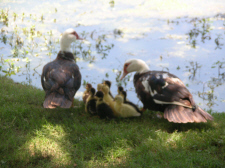 All pets must be on a leash at all times, and animal waste is to be cleaned up by the owner. Horses are prohibited. Glass bottles of any type are prohibited. Alcoholic beverages on park grounds are prohibited. Firearms and fireworks of any type are prohibited. Damaging or defacing any park property is strictly prohibited. Driving or parking outside of designated parking areas or driveways is strictly prohibited. Observe posted speed limits at all times. Abusive or offensive language is not permitted at any time. Advertising or solicitation is not permitted. Selling of any concession items is not permitted. Parks are for use by PGMUD residents only. 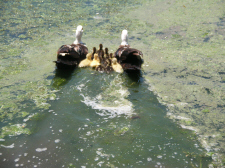 It is unlawful to violate any of the park guidelines and rules. No open fires or burning of any kind, with the exception of controlled pit fires in District-owned and maintained barbeque pits located in District-owned parks and facilities. 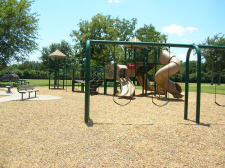 Violation of any of the PGMUD guidelines or rules related to parks will subject the violator to a fine of up to $5000 per violation or criminal penalties, including imprisonment, or both. In addition, improperly parked vehicles are subject to being towed at the operator or owner’s expense. 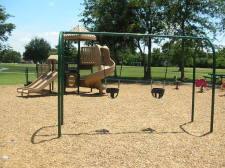 Observed violations should be reported to Marcus Campbell, Parks Manager by calling (832) 818-5600, by email to pgmudreservations@yahoo.com, or the Fort Bend County Sheriff’s Department at (281) 342-6116.